When it comes to marketing, keeping in touch with targets and customers is the name of the game. And in this ever-shifting digital world, there are a myriad of new tools at your fingertips that make it easy for you to do just that. A major one in modern browsers that’s gaining traction is the push notification. 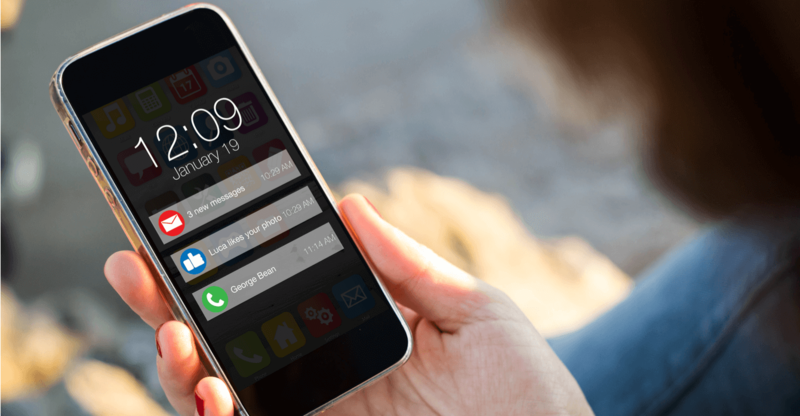 Push notifications are a great addition to your website’s functionality. They allow you to notify your audience when you have published new content on your site. This notification can be seen on a smartphone or via Chrome or Firefox—even when the user is not on your website. How does it work? Here’s a simple example. When a visitor comes to your website, they’re prompted by a nonintrusive pop-up asking them to allow notifications. (They’re not hampered in any way from just continuing on their way if they’re in a hurry.) If the user accepts the notifications offer, you are now able to send a notification any time their browser is open. As you can guess, this gives you another major avenue to communicate with your prospect and customer base. While an email message might get skimmed or ignored entirely, a push notification is a quick reminder that you exist when the user isn’t expecting it. Not only will it help in gaining new viewership, push notifications are also an amazing retention tool. In fact, research shows sending weekly push notifications can increase app retention up to six times for android users. In a world where many of us kill time floating through the internet without a goal, sometimes a quick little alert is all it takes to get someone back where you want them.